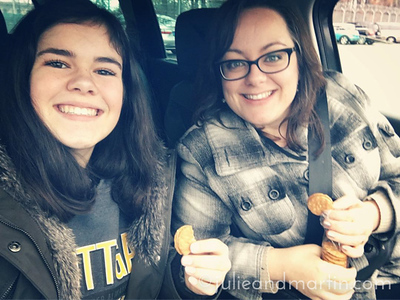 We turned those extra 45 minutes into a mini-shopping spree for some beauty products, and are now hanging out in the car, charging her phone, waiting for the game to start while devouring the cookies we impulse-purchased from some Girl Scouts. Totally unplanned encounter. Best way to end the work week.